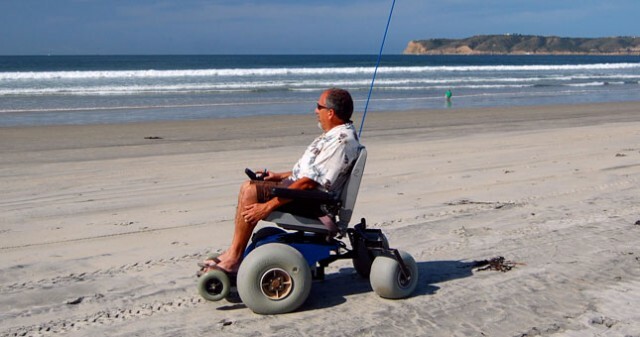 The City of San Diego’s Park & Recreation Department provides a number of services for the disabled – including free use of motorized beach wheelchairs that allow those with mobility disabilities to propel independently along the sand at Mission Beach. There’s even a non-motorized chair that allows users to roll right in to the ocean. Find the chairs just outside the lifeguard station at Ventura and Ocean Front Walk, behind Belmont Park. Reservations are highly recommended; phone 619.980.1876.